ActnEarn on Instagram. Many of our participants were demanding that we introduce actnearn on Instagram. 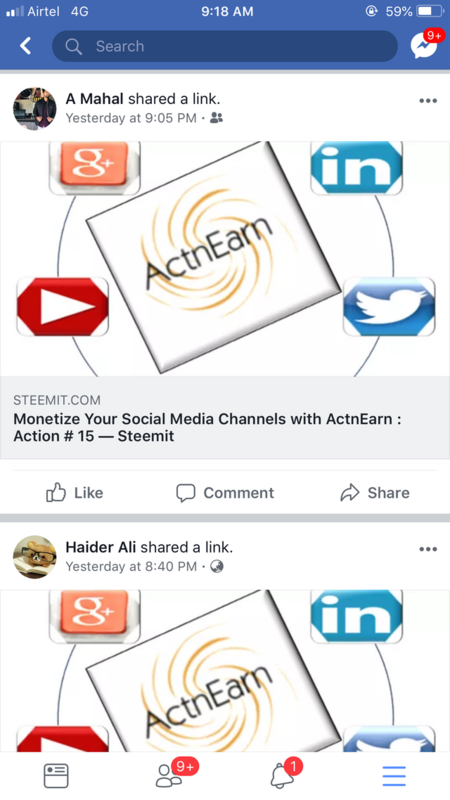 Therefore, from today our DOERS who are active on instagram - can also monetize their Instagram influence with actnearn. 7. Reply to this post by pasting copied link and in next line write " Followers = number of your Instagram followers"
7. Reply to this post by pasting copied link and in next line write " Followers = number of your twitter followers"
6. Reply to this post by pasting copied link and in next line write " Friends = number of your total facebook friends +followers"
7. Reply to this post by pasting copied link and in next line write " Connections = number of your linkedin connections"
7. Reply to this post by pasting copied link and in next line write " Followers = number of your Google+ followers"
1. Please read - Be ActnEarn Verifier and Earn Upvotes. And if you qualify as verifier than you can verify others post. 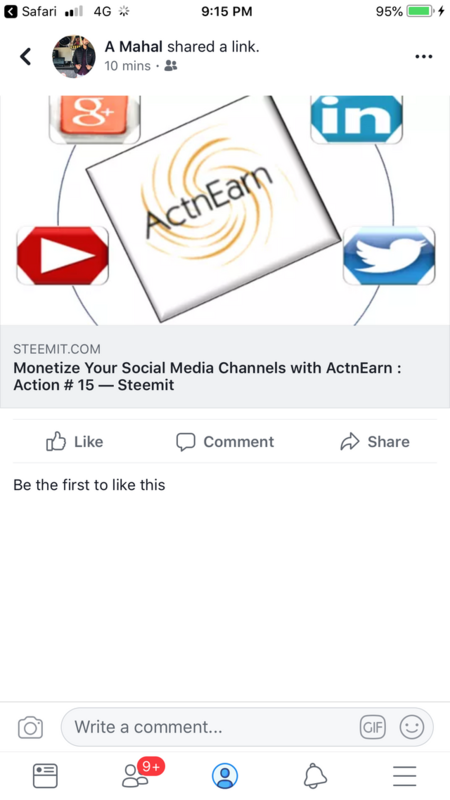 If you did not receive upvote even if actnearn has verified then you have not taken all the MUST actions related to Steem as mentioned at top. how to repost this post??? U worked on previous post. U need to work on latest. @tehmi your no. of friends are not visible to public. Please change accordingly. @actnearn please check this reply. and confrm if all ok.
thanx.. but since my followers on social media are very less so its very difficult to rise as verifier. but no problem. I am happy with what I am gaining here. Congratulations @grv6124 ! You received a 1% upvote from @kryptoniabot & @kryptonia for your task of 101 SUP Today. @tehmi please mention no of followers which is 3 in your case. Hello @actnearn, your linkdin page is not working, please check it. @amritmahal, unable to verify because link give by you show this message ---Sorry, this content isn't available at the moment, So better check and remove this issue or repost at facebook sir. @soluce your no. of friends are not visible to public. Please change accordingly. U are right. It is up to participant what he wants to show. If only followers are shown then upvote will be based followers. And if he chooses to show both then his upvote will be based on both. As far as who can verify. Pls check our previous posts on this issue. You can see the two... It's ok ? Sorry, i might be wrong, but believe i have no bad or ill intention to do this. If you are so annoyed, i will not comment in future to any post sir. can i know the reason not verified ? @amritmahal, unable to verify because link given by you shows this message ---Sorry, this content isn't available at the moment, So better check and remove this issue or repost at facebook sir. May be settings are such not to visible to public. hello brother @actnearn plz check my post is visible or not? Pls check our original post on our page and see that your Facebook handle should appear in sharers. @actnearn reply me plz i can get upvote or not?